In skillet, add ground beef, salt, pepper, garlic powder, onion powder, cumin and chili powder, brown meat over medium heat. 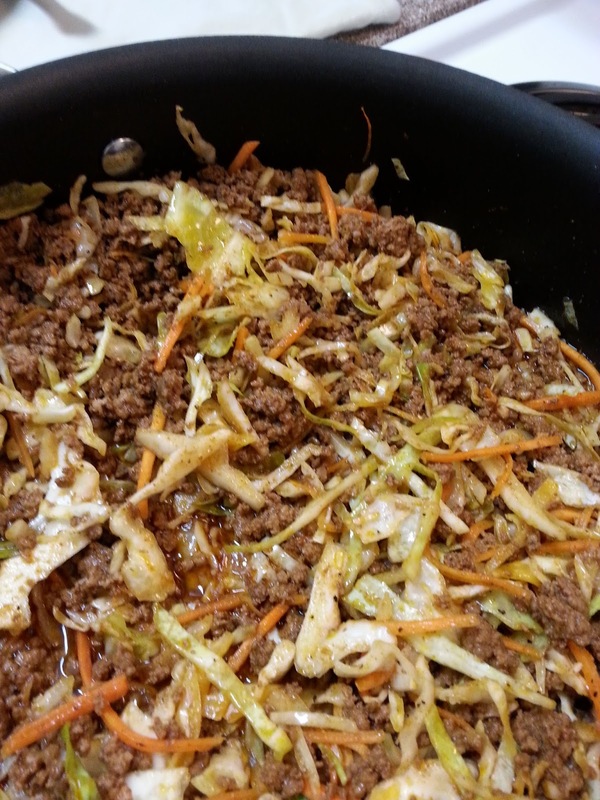 Add coleslaw and water, cook about 15 minutes, add a little water if skillet becomes dry. Serve over rice and add a few dashes of soy sauce. Hey Diane! Hope all is well with you and yours. Thanks for stopping by. You don't need the roll up! What a cool idea, Christine! Looks like a great family meal in a snap! Great idea! I love egg rolls and this sounds delicious.